Sadly, there hasn't been much sewing going on here lately. 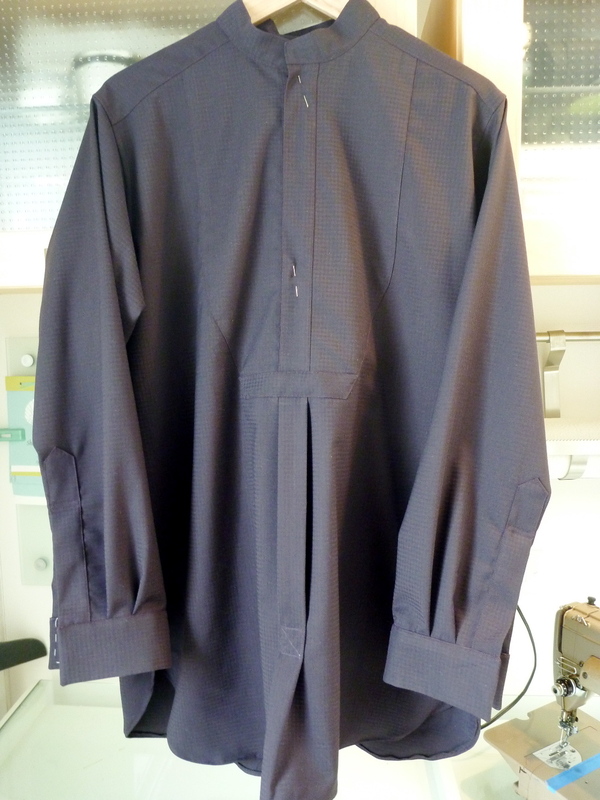 The victorian shirt is essentially complete, just waiting for buttons. The selection at JoAnn's is pretty dismal, especially when one has been spoiled by the garment district in NYC where there are entire stores devoted to buttons. Unfortunately, there aren't any trips to the city in my immediate future, so I've turned to Etsy in search of buttons. I find Etsy totally addictive and have enjoyed / wasted hours looking over the most amazing stuff. I started out looking for buttons and low and behold stumbled upon these beauties! Vintage tigereye and sterling cufflinks. I've redesigned my shirt with a single French cuff and these will be perfect. They are from Tigers and Bears of Boston, MA. I love the combination of dark purple and brown. 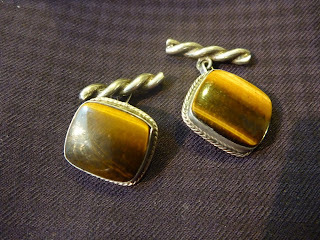 During my button search I also found a pair of vintage baltic amber cufflinks which were too reasonable to pass up. They're coming from Moscow (not to be confused with Moscow, Maine), so I'm not anticipating them anytime soon. I think the amber will look equally as smashing with the purple. Even though a certain blogger that we all know and love is predicting this to be the year of dusty rose and teal, I'm dreaming of all things purple, brown, bronze and amber. Thanks to Etsy I found some great little amber buttons that should arrive later this week. Then I'll be able to wrap this project up. Of course there's more to Etsy than buttons and cufflinks! OMG! This was love at first sight. 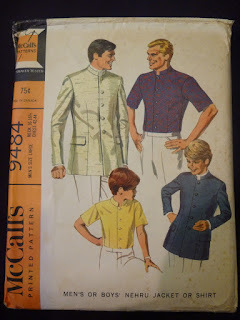 A Vintage 1968 Nehru jacket and shirt. The pattern is still in its original folds. How sad that no one ever made it. I hope to remedy that situation sometime this year. This will provide a real learning opportunity for me since it's two sizes too big for me. I will have to learn how to grade the pattern down. I'm looking forward to the challenge. A huge thank you to Wheeler Salvage for finding this gem. Just waiting for the buttons to arrive. Then I'll be ready for the cocktail party! I'm with you on the amber and purple! What a great find, they're going to look fantastic together. I love etsy. I, like you, found the most perfect vintage pattern there recently. Happy sewing and finishing, I look forward to the finished photos. My grandmother made me this Nehru jacket (at my request) when I was a sophomore in high school, for my birthday. What wonderful memories; it's because of her that I sew now. @ Richard. What a great story. I think the Nehru jacket is ready for a comeback, don't you? I buy from both and am in awe of the superb quality! Yes, catalogs have upped their prices and yet the garments are sad or weird like that sweater's neck...is it supposed to look like a turtle skin rolled down? Nasty.Love your finished shirt...stand back and wait for compliments! Shirtmaking -- How slow can you go?